Posting isn’t a science with strict rules by any means, but there are a number of ways that we believe posts can be better received, appreciated, and engaged. Any other social-media animal - Facebook, Instagram, Reddit, Twitter - has their own unspoken rules of success and we @sndbox want to help other creatives get a hang of things as quickly as possible. Here’s our simple recipe that we abide by and recommend for most posts. These are simple guidelines that help maintain consistency, one of the most important aspects of producing content on Steemit. A minimum of 300 - 400 words. For the most part, Steemians will read your posts continuously if they think you have something useful and/or interesting to share. To reach that level of commitment of ongoing support, we recommend at least 300 words. People are visual creatures. Text offers a very accurate way to describe something but we really love to see compelling photos as well! Adding a good amount of photography / documentation gives even the casual reader something to latch onto. Trying to engage a reader with several hundred words and half a dozen photos can risk becoming burdensome. Thoughtful and Creative Formatting is the key to keep the flow going. Using different sizes and levels of boldness can structure posts to be more approachable. One of aspects of Steemit that really differentiates it with other social-media platforms is the degree in which members engage with one another. Good comments, and good curation are a keystone of this blockchain ecosystem. As such, from our experience the most effective posts are the highly engageable ones. Tell us a story or share an opinion. If you are writing an opinion piece make sure to pose questions to your reader. Experiment with it! Again, none of this is a hard science, only our conclusions after being on Steemit for a year’s time. Rules are also of course meant to be broken and we often try to creatively approach posting beyond these guidelines as well. 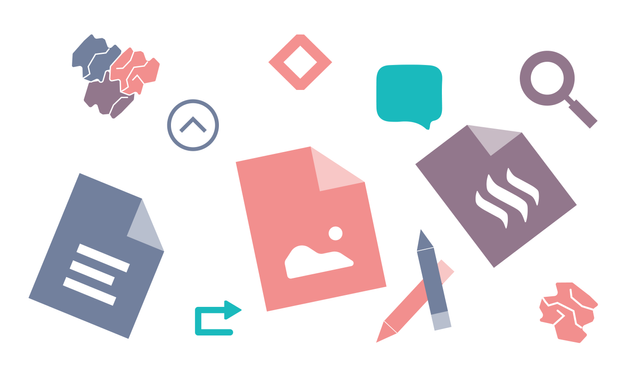 For now, we hoped to compile some useful suggestions for those new to Steemit and blog-form content creation in general. Let us know what you think below! Good article. However, as I have noted already on another post, it seems a lot of posts that lack these things and do not really have much end up getting a lot of upvotes. A good point @jocool. There are a lot of posts that lack substance but get big upvotes. There's no absolute secret for visibility or success... but being consistent and persistent will pay big dividends. Don't try to mimic the content you see doing well (when you don't believe it should). Continue to publish work that means something to you. It took me 2 weeks to make 2 cents on Steemit last summer (this is @voronoi speaking) but I was stubborn and persistent. Eventually I started to engage with folks and that yielded better visibility. Really good advice. I will persist! Thank you for the motivation. "being consistent and persistent will pay big dividends. Don't try to mimic the content you see doing well (when you don't believe it should). Continue to publish work that means something to you. " As usual, love the formatting and presentation of the post. I just worry that perhaps because of the nature of SteemIt, where money can be earned from posting, users have a focus on upvoting and commenting before actually reading their posts. I have felt in my short time here, alot of posts like copy-pasted or sometimes seem disingenuous. I'm very happy to make connections with those that reference something in my posts, that way I feel it is a real dialogue. I also worry when I see posts that look like they've been lifted from elsewhere. I love the concept of social currency, I just feel that at the moment real connections come secondary to the possibility of making money. Well said @kaertrolled. Being rewarded for social content certainly comes with a lot of risks... We find though, more often than not, that good dialogue is inevitably rewarded. Or at least more consistently than lifted content. Mistakes can happen, but there are a ton of smart curation guilds and plagiarism bots that help keep this community healthy and growing. This place is still so so young! There will be many more mistakes made as time goes on... but there's a bright future ahead. The money is fine, but genuine dialogue between people all over the world is where the real value is waiting. This is a well thought post, it seems you were reading my mind, i wrote a post similar to this yesterday. Steemit is not just a place you come to print money, it is a place where everyone has the chance to interact with others and lend their voice positively to the online conversation. I see people who just wake and drop anything on their blog, the fail to realize that the contents of their blog goes a long way in showing their personality and knowledge. When starting out on steemit, it took out time to craft good posts even though the rewards were discouraging I knew that posting just about anything will not helpme if I want my blog to grow, so I stuck to quality content even if it meant posting less and earning less. I have achieved in the space of seven months and my followers love my content. Thanks for sharing this and what you are doing on steemit. I am glad I followed when I saw your introduction post. 100% agree with you @ogochukwu :) Well put from a seasoned Steemian such as yourself. Let's build the conversation up together! Thank you so much for your support and enthusiasm. Thanks for the impressive content, No doubt that's great! The post has been updated. Thank you, appreciate the good advice! Great advise to help make better posting choices. Even though something works for one person, it may not work for another. You just have to create your own meaningful style. I'm still new so I'm still trying to figure mine out. Some days I just can't think of anything to say :( but I'll keep at it. Thanks again for posting this helpful information. Absolutely! We don't want everyone following the same 'model' of course and we encourage everyone to experiment and strike their personal rhythm. We hope this will be a good starting point though. Thank you, yes it is a very good starting point. Fantastic thank you! Hadn't thought about asking questions. Doh! #Other story is good but my story is special for me. Your title graphics and color selection are absolutely beautiful. You are doing an amzing job with these tutorials. I simply LOVE the colors of your logo. I had to say it. We like that you like it! This is a very useful guide. I'm going to resteem so more newbies will see this. Tell me what you think i didn't do right here. This was another great article. Thank you @sndbox your page is so helpful to new steemians! You are making it feel much more welcome and getting us to engage the community. It doesn't feel so scary starting off on a new social media platform with this much encouragement and help along the way! Again thank you so much you are helping all of us in the community. Great post, being new here, your kind of post is so helpful and encouraging. I'm going to write my first post. Thank you for sharing. I'm reading through a lot of your guides and finding them very helpful. It's a shame I can't upvote it anymore! I'm paying attention to your tips, please keep them coming. Maybe I can get involved more some day.